OTP Bank is the Top 1 financial institution in Hungary, and it is one of the largest in Central Europe. Raiffeisen is a Top 5 bank in Hungary. CIB Bank is a subsidiary of Intesa Sanpaolo Group, the largest Italian bank. Allianz is the European market leader in insurance and financial services. K&H Group is one of Hungary's top financial service providers. AVHGA issues on-demand guarantees to micro, small and medium-sized enterprises which are engaged in the agricultural sector. BISZ Zrt. provides credit information to players in the Hungarian financial sector. Takarékbank Group is the largest co-operative savings bank in Hungary with 1.5 million clients. MOL Group is the largest Hungarian company, and one of the largest Central-European oil companies. It operates in 30 countries, with 25,000 employees. MVM is the largest electricity provider in Hungary, which operates one nuclear and eight conventional power plants. E.On is the world’s largest privately owned electric utility company. BP is one of the world's seven oil and gas supermajors. EDF is a French electric utility company, largely owned by the French state. Engie is a French multinational electric utility company, component of the Euro Stoxx 50 stock market index. The largest Hungarian retail gas provider. Hungarian Telekom is the Top 1 telecommunications company in Hungary. It is the local subsidiary of Deutsche Telekom, the leading telco provider of Germany. Vodafone is the Top 2 telecommunications provider in Hungary, it is the local subsidiary of Vodafone Group plc (UK). Telenor is a Top 3 telecommunications provider in Hungary. It is the local subsidiary of Telenor ASA (Norway), which has 189m subscribers in 13 countries. Lynx Analytics solves complex business problems with big data graphs. Starr and Associates uses the tools of business intelligence, analytics, and data mining to improve process efficiency and customer service in a diverse set of industries, including public sector, healthcare, manufacturing, mining, and telecommunications. GE ranked among the Fortune 500 as the 13th-largest firm in the U.S. by gross revenue in 2017. Arconic’s products, which include aluminum, titanium, and nickel, are used worldwide in aerospace, automotive, commercial transportation, packaging, building and construction, oil and gas, defense, consumer electronics, and industrial applications. Bonafarm is one of the largest companies in Hungary in food processing and agriculture. AgroVIR develops corporate management, production management, and decision support systems for agricultural businesses, and as a market independent entity, it helps farmers with cloud-based solutions to leverage 21st century technologies. British American Tobacco is the largest publicly traded tobacco company in the world. GlideRite implements repair, maintenance and cleaning programs across North America for facilities and a wide range of rolling equipment for companies like Home Depot, Target, Trader Joe’s, Whole Foods, Office Depot, Costco and Walmart. DB Schenker is the logistics division of Deutsche Bahn. Deutsche Post DHL is the world's largest logistics company operating around the world, particularly in sea and air mail. MÁV is the state-owned railway company of Hungary and is in connection with other European national railroad networks, providing services in passenger- and freight transportation. 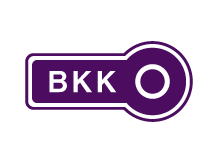 BKK is the Metropolitan Transportation Authority of the City of Budapest, Hungary. BKK operates 2100 vehicles in Budapest and carries around 1.3 billion passengers annually, who travel 4.9bn kilometers. Magyar Posta (Hungarian Post) is the market leader in the courier, express and parcel (CEP) market in Hungary, processing 3 million letters and 50 000 parcels per day. The company employs ~30 000 employees and has 2 700 service points and a fleet of ~3 000 vehicles. The Hungarian Tax Administration accounts for 96% of all revenues of the state.